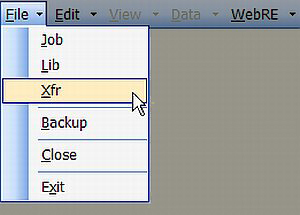 The File Menu Pad is used to select the active database (job or library file) you want to work with. 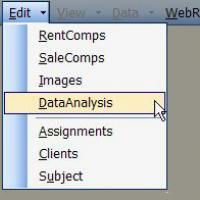 The Edit Menu Pad is used to select the table (type of data) within the active database you want to work with. 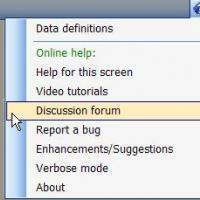 The View Menu Pad is used to control how the data you have chosen is presented on the screen. 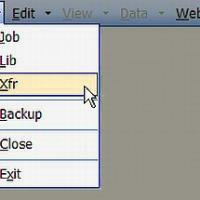 Our software allows users to select from several different user interfaces, depending upon user preferences and the operation being performed. 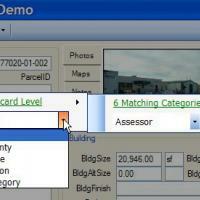 Form View fits all data elements on a single screen for comprehensive and very detailed data review. 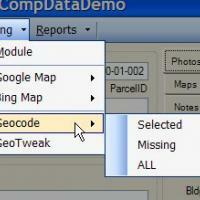 The Two user-configurable Grid Views are optimized for data comparison and powerful data manipulation. 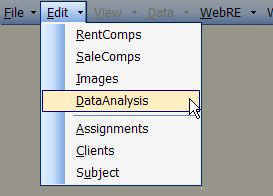 Inspector View enables data organization by category. 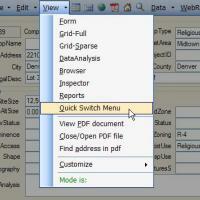 PDF View enables optional address synchronization with external PDF documents. 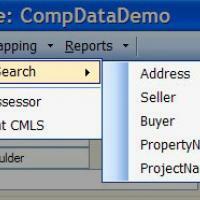 The Data Menu Pad enables convenient filtering of market data so that only data of interest is visible at any given time. 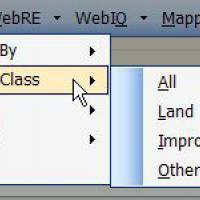 The WebRE Menu Pad translates your personal Internet Explorer bookmarks into geographically-enabled Real Estate Smartlinks which the database can use for real estate research. 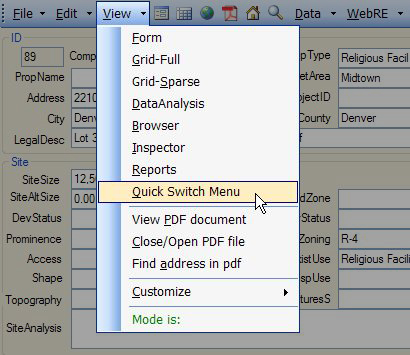 The WebIQ Menu Pad extends the internet functionality of WebRE by navigating to special websites and automatically retrieving market data into the local database. 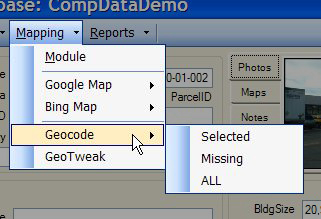 The Mapping Menu Pad functions include mapping single or grouped properties, automatically geocoding by street address and allowing adjustment of computer-located marker positions where necessary. 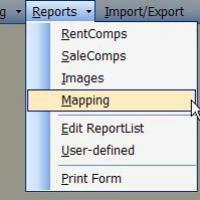 A variety of map exhibits can be conveniently generated for selected properties. 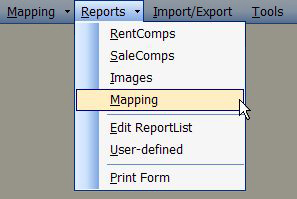 The Reports Menu Pad is used to activate the Reporting Module where many types of preformatted reports can be generated. 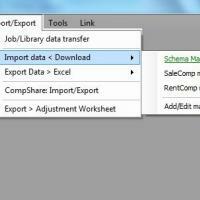 Reports may be rendered to any Windows printer, to Microsoft Word, to Microsoft Excel, as an Adobe PDF Document, or as a web page. 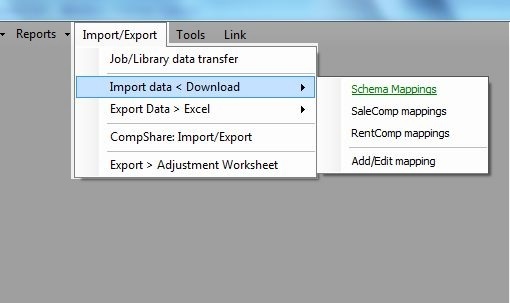 The Import/Export Menu Pad is the gateway to a wide variety of data acquisition and exchange options: comp exchange between job, library, and transfer databases, bulk import/export from/to schema-mapped web download files, or compressed CompShare files which can be emailed or directly exchanged between appraisers and Realtors. 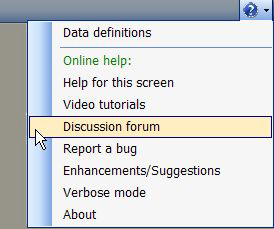 The Help Menu Pad allows access to a variety of help resources, ranging from context-sensitive help with the current data element, currently-active screen, how-to video tutorials covering many topics, and keyword-referenced help resources from our community forums.